First diagnosed with amyotrophic lateral sclerosis (ALS) when he was 21, Stephen Hawking was not expected to see his 25th birthday. Analogous to the breathtaking nature of his remarkable feats in the world of science, Hawking miraculously beat the odds of this daunting diagnosis by over half a century. ALS, a neurodegenerative disorder, inflicts its damage on the body by affecting motor neurons – the neurons responsible for controlling muscles. To move a muscle, the brain sends messages from the upper motor neurons through to the lower ones, and then to the muscles themselves. The two existing medications approved by the US Food and Drug Administration (FDA) have been largely hit-and-miss amongst sufferers of ALS. Thus, a pharmaceutical race centred around the molecular biology of ALS has ensued. Interestingly, a mutation in one particular gene, C9ORF72, accounts for around 40-50% of inherited cases of ALS. This mutation causes sections of DNA to replicate themselves inexplicably within cells. Scientists have identified a protein, SRSF1, which binds to the ribonucleic acid (RNA) copy of this pathological segment of DNA. RNA plays a central role in the pathway from DNA to protein. SRSF1 effectively acts as the ‘mafia’ of the cell, providing a back door through which the faulty RNA can slip past the gatekeeping machinery within the nucleus and into the cytoplasm, where it can then be read by a ribosome to form a protein. The resultant pathological proteins formed clump together, essentially obliterating neuronal function and leading, ultimately, to cell death. By targeting SRSF1, it is possible to reduce the amount of rogue RNA escaping into the cell’s cytoplasm, opening up new areas of investigation for gene therapy. A further recent advancement centres around a type of immune cell known as the regulatory T cell (Treg). Patrolling our bloodstream, the function of the Tregs is to regulate other immune cells and prevent them from attacking the body’s own healthy cells and tissues. A recent study has indicated that ALS progresses significantly more slowly in patients with greater numbers of Tregs in their blood. Indeed, in experiments on mice, expansion of the Treg population has been observed to cause the disease not only to progress more slowly, but also to preserve the motor neurons. Identifying common causes of ALS is pivotal in developing treatments for the disease, as is the study of available genetic data. 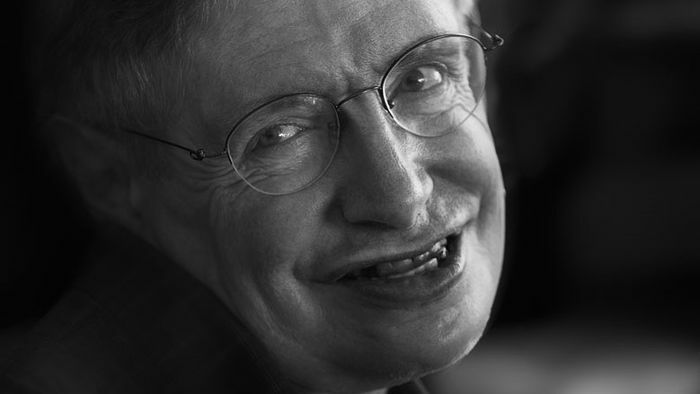 Perhaps Hawking himself could play a part in future scientific discoveries due to the inclusion of his genetic material in the Motor Neuron Disease Association’s national DNA bank. Left with nothing that responded to his brain except the tiny muscle in his cheek through which he controlled the electric voice synthesiser now poignantly etched in our memories, Hawking’s survival against all odds should invigorate us further in the race to find a cure for ALS.